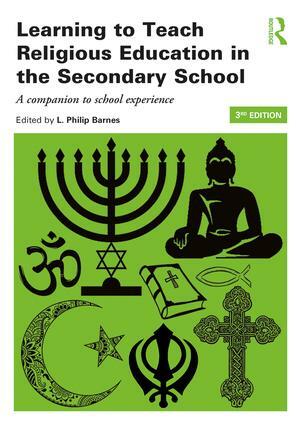 The third edition of Learning to Teach Religious Education in the Secondary School draws together insights from current educational theory and the best contemporary classroom teaching and learning, and suggests tasks, activities and further reading designed to enhance the quality of initial school experience for the student teacher. This third edition has all new content and contributors, which take account of recent developments in the subject. Learning to Teach Religious Education in the Secondary School is designed to provide student teachers with a comprehensive and accessible introduction to teaching religious education in the secondary school. L. Philip Barnes is Emeritus Reader in Religious and Theological Education at King’s College London. He has been Head of Department in both secondary and grammar schools in Northern Ireland and director of the MA in Religious Education and the Doctorate in Theology and Ministry at King’s.His recent publications include Education, Religion and Diversity: Developing a New Model of Religious Education (2014); (with Andrew Davis and J. Mark Halstead) Religious Education: Educating for Diversity (2015); and (with James Arthur) Education and Religion (2016), a four-volume edited collection.